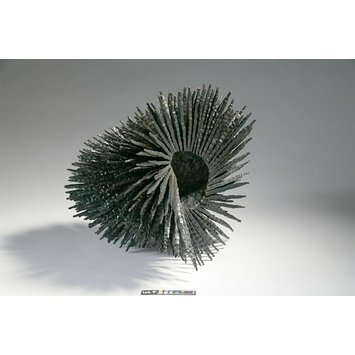 This sculpture was bought from the 2005 COLLECT art fair at the V&A as a representative example of designer-maker artist Junko Mori's output. Japanese-born Mori first studied at Musashino Art University, Tokyo (1993-97), and has risen to almost instant fame since graduating from Camberwell College of Arts, London, in 2000. In 2004, Peter Jones, Sloane Square, commissioned her to create a foyer sculpture entitled 'Sprig' for its newly refurbished interior. Purchased with funds allocated by the Director for acquisitions from the Craft Council's COLLECT art fair, 13-17 Jan, 2005, held in the V&A. 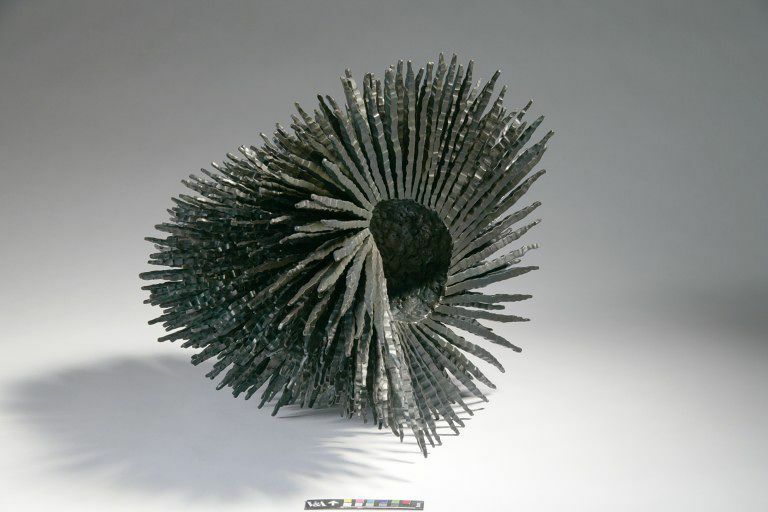 Chosen as a representative example of the work of Junko Mori. The piece was made for Adrian Sassoon specifically to be exhibited at COLLECT.